Susan qualified as a doctor from the University of Glasgow in 1996. She completed her Vocational Training in Aylesbury in 2000. 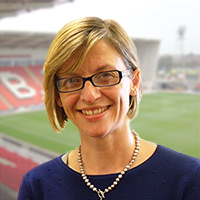 Having worked as a GP in Buckinghamshire, Manchester and Merseyside, Susan moved to the Fylde Coast in 2009 when she joined Newton Drive Health Centre.